At Kegel8 we work closely with health care and fitness experts to provide you with the best advice and support for your pelvic floor health. Follow the links below to meet our experts and select here to read their blogs. You may recognise Amanda from a number of our YouTube videos. 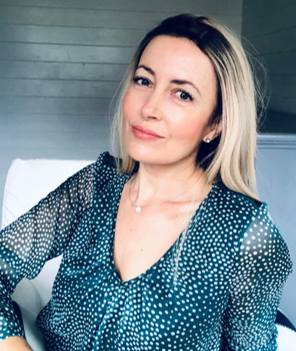 Amanda is a specialist pelvic floor and Women’s Health Physiotherapist and spokesperson for the professional body of Physiotherapists, the Professional Network of Pelvic, Obstetric & Gynaecological Physiotherapy (POGP). 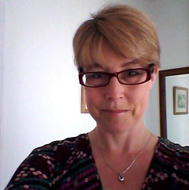 Amanda has worked in Physiotherapy for over 20 years, offering supervised pelvic floor muscle training and support for the recovery of pelvic organ prolapses, incontinence and pelvic surgeries. Amanda is a Kegel8 expert and can help you get started with your Kegel8 to complement your treatment programme. Supported Mums - where she provides expert advice to new mums, and as a Qualified Pilates Instructor, looks after your whole body fitness as well. South Cambridge Physiotherapy - her clinic in Cambridge, UK. Louise is a former GP with 15 years experience working in the NHS. She is now writing a book, '‘Your Best Life- A Doctor’s Secret Guide To Radiant Health Over 40’, which is due to be published in 2020. She is also the resident medical writer at thefrankmagazine.com. "Pelvic floor exercises are mentioned to us at different stages of our lives and most of do not take notice until something goes wrong. If you want to help yourself and you have no contraindications after checking with your doctor (pelvic cancer, pacemaker, recent surgery or pregnancy) then I cannot recommend a machine like Kegel8 Ultra 20 highly enough. There are different internal probes for different uses, clearly explained on the website and if you do not feel using a probe is right for you, you can try the electrodes that are placed on your back- a little like a TENS machine given in the hospital during labour." Myra is co-founder of the NHS Squeezy App and Pelvic Roar, a physiotherapy-led collaboration in pelvic health campaigning. "It is estimated that 2.5 to 3 million women in the UK alone suffer with incontinence, and unfortunately a lot of women think it is just part of getting older or having a baby. Incontinence is not something you should live with whatever your age!" 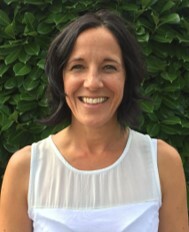 Emma, also known as PhysioMum, is a Women's Health Physiotherapist and member of the POGP, Chartered Society of Physiotherapy (CSP) and the Health and Care Professions Council (HCPC). Emma has worked in Physiotherapy for over 10 years and is part of The Mummy MOT programme, a comprehensive post-natal check up for mums. "If you leak urine, it could be a sign that your pelvic floor has been damaged. Request a referral to a women's health Physio." 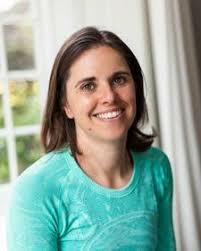 Dalia is a Registered Dietitian, qualified to assess and treat problems with diet and nutrition. She offers nutrition counselling as a natural preventative medicine and treatment for current problems. "Improving people's health and wellbeing is what I do, and what I most enjoy!" Tam is head spokesperson for the National Obesity Forum, a position he has held since joining the board in 2005. 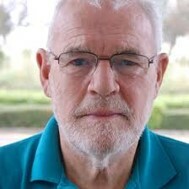 He has spoken for children with growth problems since 1977 and serves as an honorary chairman of the Child Growth Foundation, a UK charity focused on children's growth and endocrine issues. "The skeleton is perfectly designed to copy with a healthy weight. But if you're excessively heavy or obese, hips, knees and ankles may all suffer. Excess weight can be particularly damaging to your pelvic floor, which supports all of your crucial internal organs." Baz is a former British rower who now specialises in offering pelvic floor and core support for women as a health and fitness coach and Master Trainer for Holistic Core Restore ®. She uses a holistic, evidence-based approach to help women reconnect with their bodies, building strength from the inside, out. 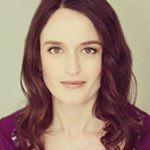 "Get your pelvic floor off the floor - it's really hard to connect with your pelvic floor at the start, so give yourself a chance and find a time and space just for you!" You can find Baz at Strong to the Core. Louise is the founder of Adore Your Pelvic Floor. 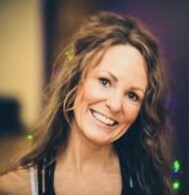 A specialist in fitness training for women, Louise delivers workshops in pelvic health and exercise to the community, fitness experts and health professionals across the UK. Louise herself was diagnosed with a bladder and bowel pelvic organ prolapse after the birth of her fifth child. Initially she had surgery to repair the damage, but she knew it was going to always be a vulnerable area with her pelvic floor muscles needing recovery and rehabilitation for her to get back into her active lifestyle with confidence. "Surgery alone doesn't automatically and magically get all our muscles working in balance and harmony. My torn fascia had been repaired by the surgeon, but gaining flexibility, relaxation, strength, with the motor skills to react together in activity is as important as the repair itself." Our own team of pelvic floor experts are here to answer questions about your pelvic floor health and whether Kegel8 is right for you. Select here to contact our team. Our most knowledgeable pelvic floor experts, Emma and Fiona, have been part of our Customer Service team for a combined 20 years!